The Rogue archetype was introduced in Dungeons & Dragons and has been a fantasy RPG staple ever since. 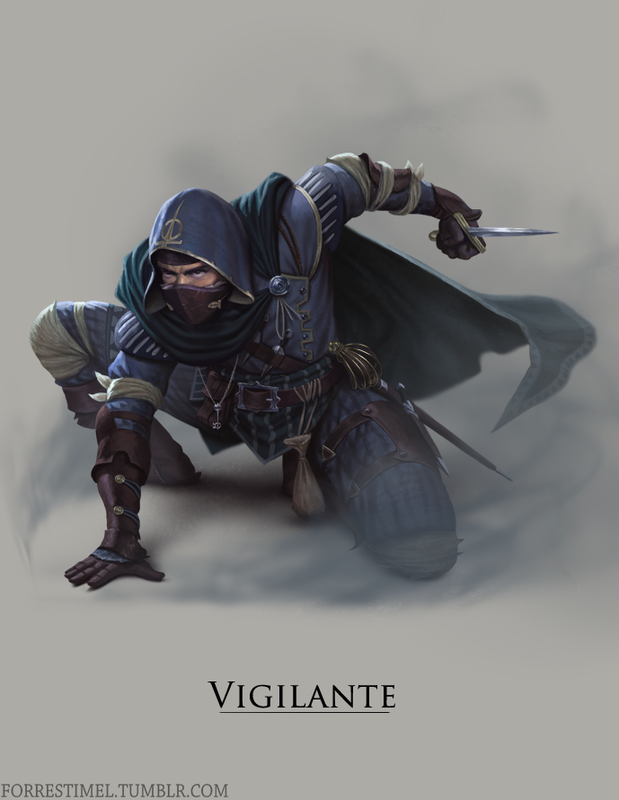 The concept is simple: a shady character that uses skill and technique to disarm traps, as well as mastering several non-combat skills. They incorporate stealth to attack enemies without detection. Rogues are deadly! Lurking in the shadows, subterfuge is the name of the game for the rogue. So stick on the top of your toes while we sneak our way into this character gallery! Let these pieces jog your imagination so you can create cool rogueish heroes for your RPG campaigns.